This is part ten of a twenty-five part series chronicling my budding collections of the 2016 World Series champion Cubs. Obviously, I’ve already starting showing off some of those cards, but I wanted to offer a formal introduction to the various players. With my legacy player collections, I’m still going to attempt to show every single card on the blog, but with these new guys I’m taking a different approach as you’ll see here where I lump cards in one scan, and will probably skip many of the more basic cards I get unless I can get a good theme together. 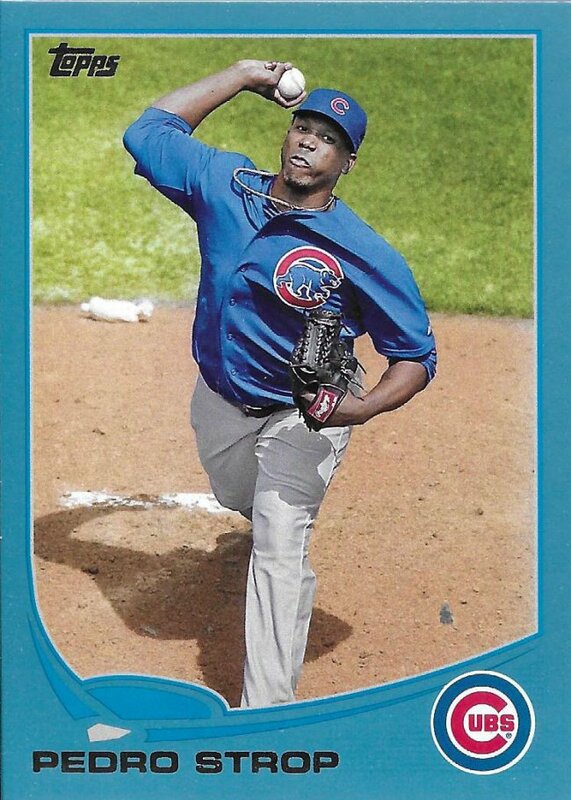 Pedro Strop has been a solid piece of the Cubs bullpen for several years now. In 2018, he posted his second lowest ERA while with the team and a WHIP under 1.00. The bullpen in general has been a bit of a roller coaster, but Stropy stays consistent. I only had this one card by the time I started gathering up stuff. That’s not too surprising when dealing with a relief pitcher. One is better than none. Pedro was originally signed by the Colorado Rockies way back in 2002 and was released in 2008. He then signed with the Rangers later that year. 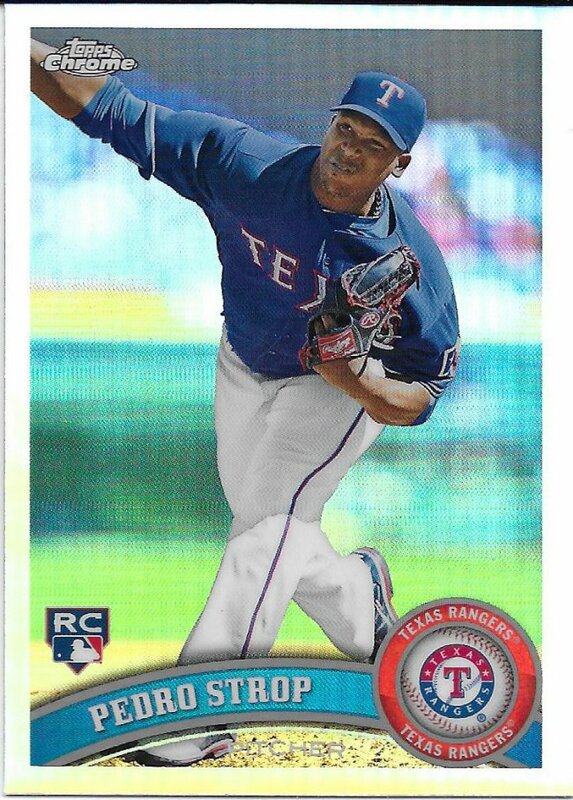 He debuted in the majors for Texas on August 28, 2009 and did not fare very well in those first couple years. That caused him to be the player to be named later sent to the Baltimore Orioles in 2011. 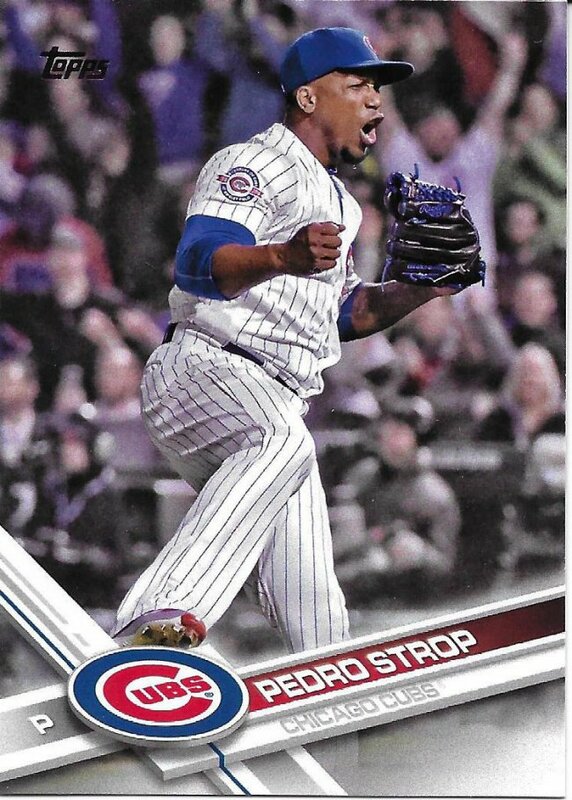 Then, in 2013, in the trade of the decade for the Cubs, Pedro Strop and Jake Arrieta and money came to the Cubs in exchange for Steve Clevenger and Scott Feldman. 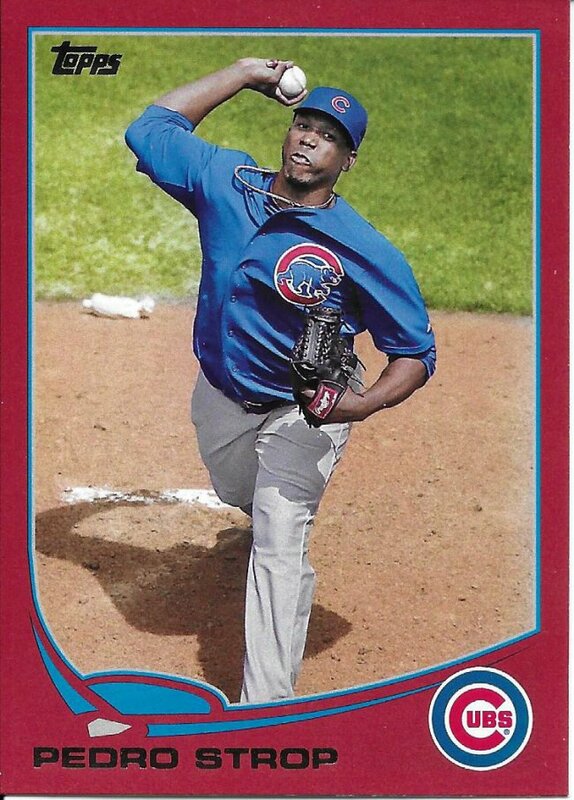 Oh, Pedro was also part of the World Baseball Championship winning Dominican Republic team. 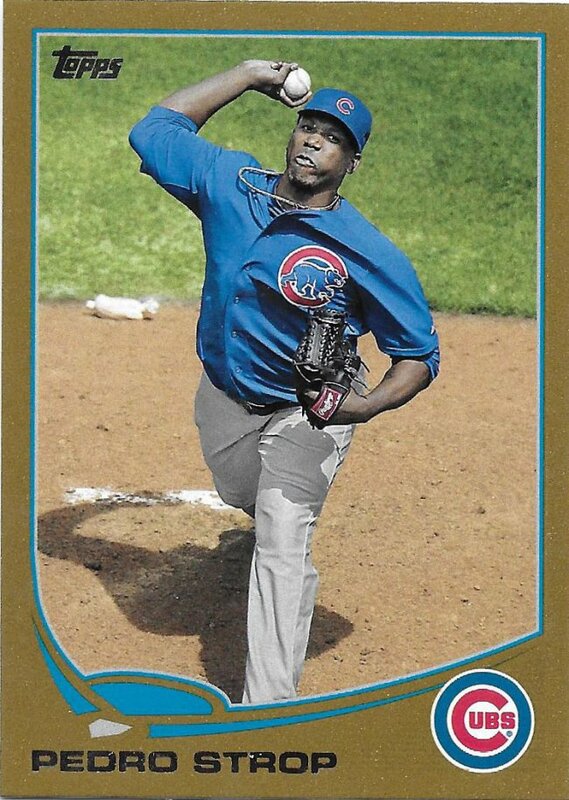 So, fast forward to 2016 and in the postseason, he faced 22 batters over 5.2 innings spread over the three series (2 scoreless innings in the World Series). In that whole span, he only allowed 4 hits and 2 runs, while striking out three. Pretty important appearances and outs recorded on our way to the championship. It’s great that Pedro was able to put things together after he arrived in Chicago and is still doing well. In terms of collecting, it’s a small road of only 80 cards through 2018. 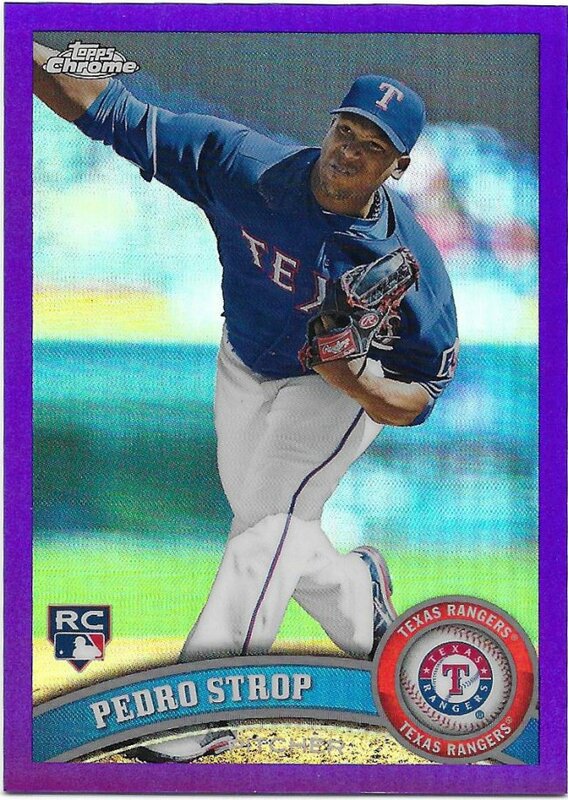 Of course, as always, most of those are going to be parallels with about 10 minor league cards as well. He’s been in Chrome and Heritage once each, otherwise it’s basically all regular topps and their online exclusive stuff. So, it’s a small road, but a bumpy one.